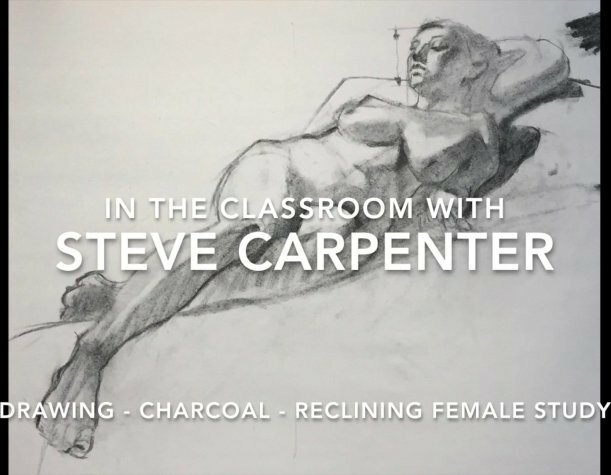 This video explores extreme foreshortening resulting from the model’s orientation to the viewer. Measurement is a critical component for rendering a form with this orientation. Steve demonstrates how to get the most dramatic effect by exaggerating somewhat the foreshortened form. Interest is heightened by creating strong design patterns in the shadow areas. Portrait basics are investigated as well as tools for drawing hands, feet, and the torso.